Miami in December is a great place to gorge on art and design -- and last month's Art Basel Miami Beach, Design Miami, and satellite art fairs such as Pulse and Nada, did not disappoint. Along with these temporary/seasonal events, there are excellent permanent destinations including one of my favorites, the Rubell Family Collection. 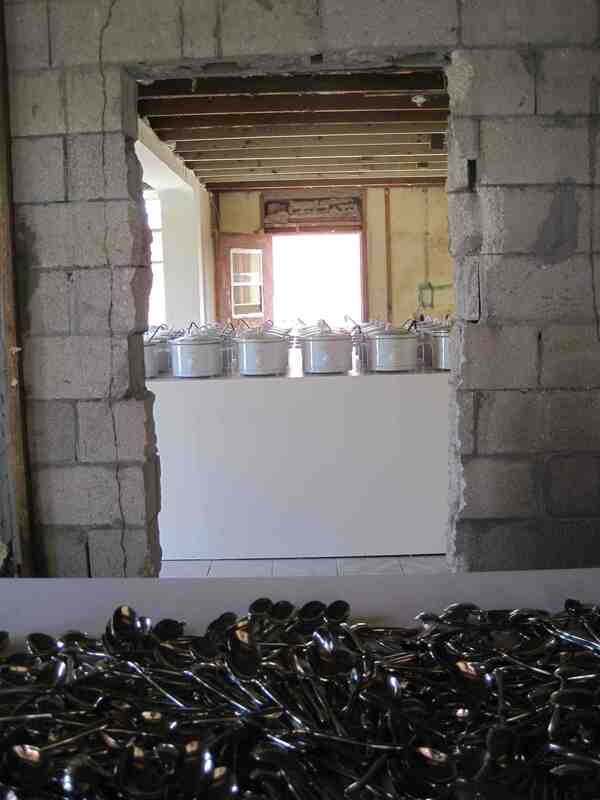 During last month's fairs an ebullient Mera Rubell greeted visitors to the museum (wearing an Andy Warhol fright wig, no less), and daughter/food artist Jennifer created Just Right, a memorable and edible multi-room installation centered on oatmeal (really!). This tropical center of design bonhomie is also sporting some notable additions to its built environment - among them, the above ground parking garage at 1111 Lincoln Road by Pritzker Prize winning architects Herzog and de Meuron. The project has appeared on countless ten best lists and been showered with praise. Rowan Moore at The Observer dubbed it "the World's finest car park," and Julie Iovine gushed in the Wall Street Journal that its "genre-bending" design stands out from other projects, "transforming the banal into an immersive social sculpture." The New York Times reports the garage is so popular people are "clamoring to use it for wine tastings, dinner parties and even yoga classes." Is it impressive? Yes, particularly at night when its unusual silhouette has a curiously powerful magnetism. Equally impressive is the new landscape fronting this stretch of Lincoln Road, part of the six block long pedestrian mall, originally designed by Morris Lapidus, which day and night teems with people. But you probably haven't heard about that. Once again, all the critical attention is being focused on the building - as though its some sacred object with healing powers - and the landscape architecture is ignored. As I discussed in Redesigning Design to Make Room for Landscape, the lack of both acknowledgement for landscape architecture and knowledgeable landscape architecture criticism in mainstream media is a problem. But this is not a time to rehash; rather it's an opportunity to examine a remarkable addition to Miami. 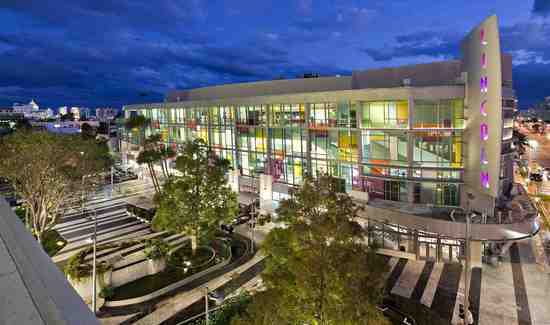 The 1100-block of Lincoln Road now has a scintillating new design by Miami-based Raymond Jungles. He's well known for his exceptional residential design, but with this commission he takes a big leap over the garden wall to create a dazzling urban setting. Jungles channels the landscape language of both Morris Lapidus and Roberto Burle Marx, using kidney shapes and biomorphic forms, while carefully choreographing pedestrian-scale spaces for sitting, standing, and spontaneous presentations. In the end, he knits together the intimate and civic in ways reminiscent of Lawrence Halprin's theatrical approach to the street, with the whole united by a sinuous water garden that is both Modern and ecologically sound (it includes algae eating catfish and native plants one would find in the Everglades). After my visit I went back to examine those ten best lists to see if I had overlooked recognition for Jungles. He was absent from them all. Even Iovine's article noted, "It is no longer possible to leave out landscapes when talking about important design," yet somehow overlooked Jungles' significant contribution to the collaboration. Jungles recently spoke with me about the project and shared a September 24, 2010 letter he received from Christine Binswanger, a senior partner at Herzog & de Meuron. It states, "Raymond Jungles' design was integral to the overall success of the project. 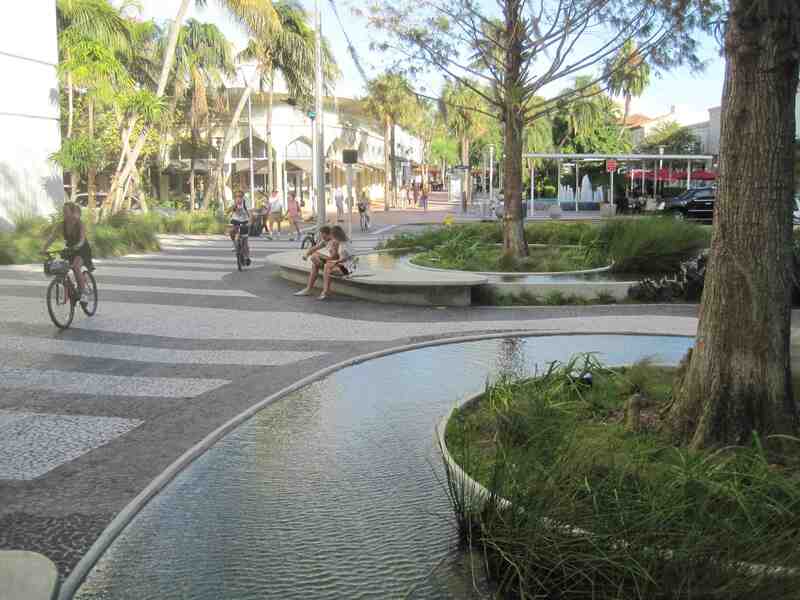 The Plaza on Lincoln Road, in particular, stands out for both its thoughtful interpretation of the existing Lincoln Road Mall and its adept use of native planting, water and surface materials. The resulting urban space is a valuable component of the 1111 Lincoln Road project and a great contribution to the city of Miami Beach." At least this architect recognizes the importance of the landscape architect, now let's see if the critics can catch up. 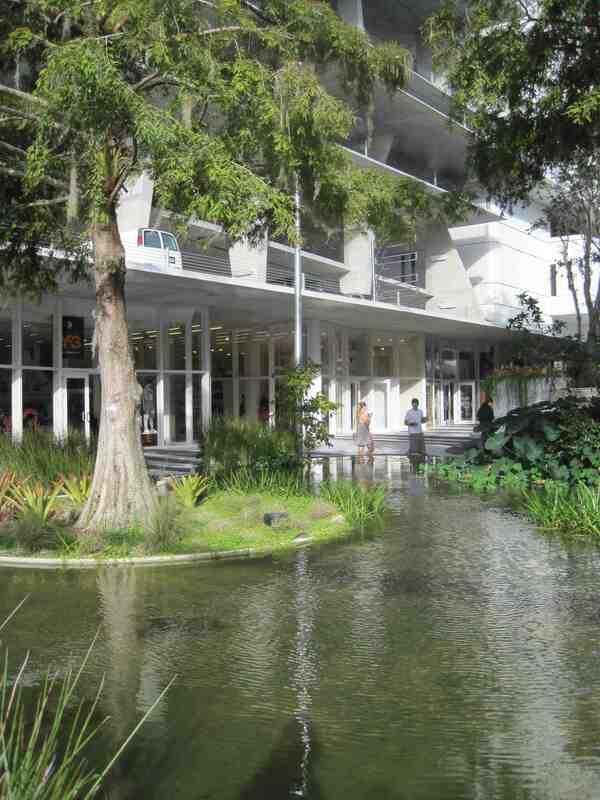 Rowan's remark about the building being the "World's finest car park" got me thinking, it's all well and good to get excited about a parking garage with retail, but let's remember what Lapidus once quipped, "I designed Lincoln Road for people - a car never bought anything." Raymond Jungles has made an important addition to Miami - let's give him his due. Owner: Robert Wennett, UIA Management, LLC. Landscape Contractors: Superior Landscaping/ Sean Jacobus Company/ Plant Creations, Inc. Lighting Consultant: Leni Schwendinger, Light Projects LTD.